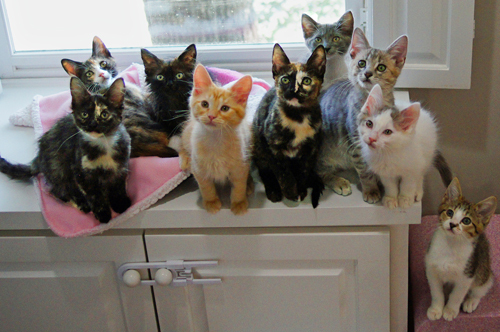 Eight of the Mainer kittens – named after towns in Maine because I’d just come back from vacation in Maine not long before I got them to foster – came to us on June 23, 2018. 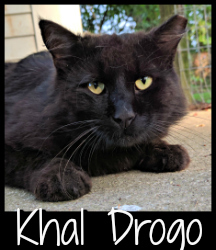 Six of them were pulled from Athens Animal Control in Athens, Alabama, and two of them (Bethel and Calais, who are unrelated to each other) had been dumped near local area businesses and rescued. 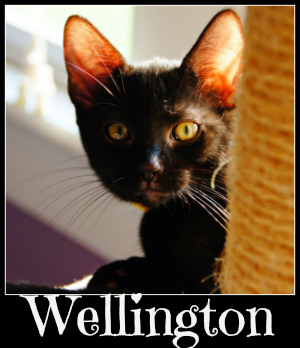 Two days later, the ninth Mainer kitten (Arundel) came to us after being dumped in the country and trapped by a good Samaritan. Otis, Buxton and Eliot are siblings, and Dexter, Kennebunk and Millinocket are siblings. 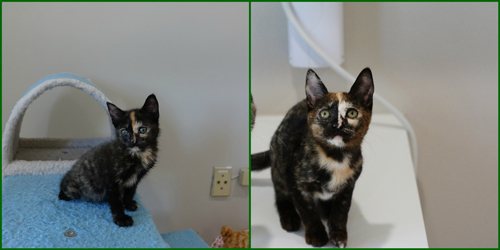 Calais, Bethel and Arundel are unrelated to any of the other kittens. Don’t tell them that, though – they are under the impression that they’re blood relations, and they get along exactly as though they’ve been together their entire lives. We are guesstimating the date of birth for Arundel, Bethel and Calais to be 4/19/18. 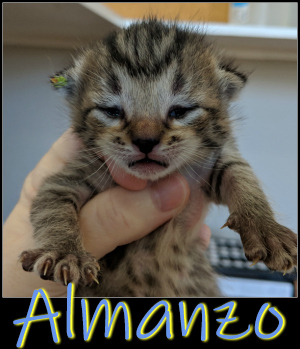 The date of birth for the remaining six kittens – Buxton, Dexter, Eliot, Kennebunk, Millinocket and Otis – is guesstimated as 5/19/18. Arundel (girl) at the end of June and in mid-August. Arundel (nickname: Runner) was a bit scared and shy at first, but after a few days she decided that humans are okay and that she’s a lap cat. She still doesn’t like it if we’re standing and reach down for her, but if we get down on her level, she comes right over for love. She has a loud purr and loves to sit in our laps and be petted. She LOVES the other kittens, and they love her as well; she’s always snuggled up with another kitten or running around playing with them. She’s a sweet girl, but she’s also got a wild side, and will go after a feather teaser or any toys with feathers on them, and play until she drops. 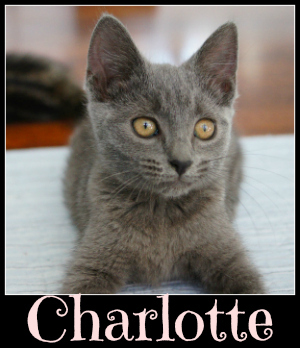 She would do best in a home with other kittens to play and snuggle with. Bethel (girl) at the end of June and mid-August. Bethel (nickname: Bethie) is a very sweet and confident kitten with bold, beautiful stripes, silky-soft fur, and very striking green eyes. She is the MOST trusting kitten we’ve ever met – she will jump up at you with no doubts that you will catch her, and then she’ll snuggle up for a good long snuggle-and-petting session; she loves to stretch up against you while you pet and kiss her, and loves to be held on her back like a baby. She’s got an instant purr and is a definite lap cat, though she’s also super nosy so if she hears an unfamiliar noise in the distance, she’ll fly off to investigate the cause. She gets along very well with the other kittens in her cobbled-together litter. She’s extremely playful and loves feather teasers, toys with feathers on them, and she’s an excellent soccer player; if you toss a ping pong ball for her, be prepared to watch her play with it for a good long time. 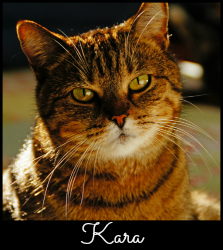 She gets along great with other cats and would do best in a home with other kittens or cats to play and snuggle with. Buxton (boy) at the end of June and in mid-August. 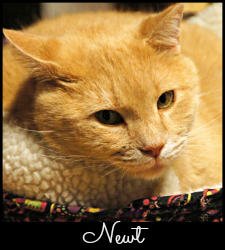 Buxton (nicknames: Buster, Bucky) is a sweet, gentle boy who adores being held and petted, loves to gently touch your face with his paws, and has a surprisingly loud purr. He adores being kissed and did we mention he’s a snuggler? He very much is! He loves to be held on his back like a baby. 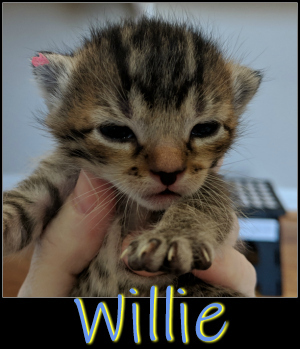 He gets along great with the other 8 kittens in his cobbled-together litter, and when he’s not being loved on by a human, he can be found tussling with or snuggled up to one of the other kittens. He’s a very playful boy and isn’t picky – if you want to wave the feather teaser around for him, he’ll happily hop up after it. If you want to toss a ping pong ball for him? Off he goes! Toy with feathers attached? He’ll take it, thank you! 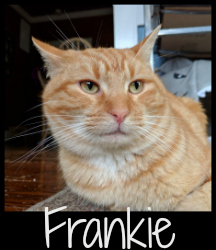 As mentioned, he gets along great with other cats and would do best in a home with other kittens or cats to play and snuggle with. 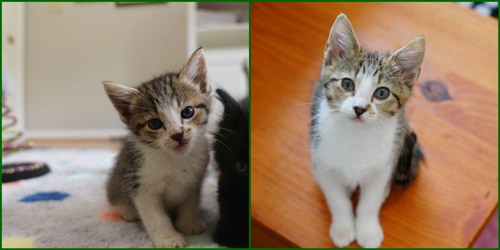 Calais (girl) at the end of June and in mid-August. Calais (nickname: Callie). 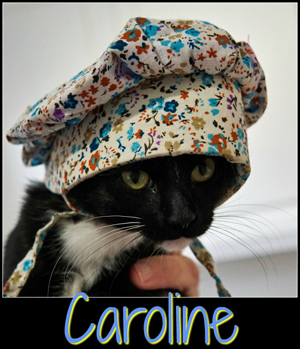 We like to say Calais is a monkey in a kitten suit, because that girl can jump and leap and get into places you would have sworn a kitten could never get to. She is VERY confident – she goes into new situations with her tail straight up in the air and won’t rest until she’s examined every inch of the situation and determined the what-when-where-how of it all. She’s also a VERY energetic girl and will race back and forth for longer than you’d imagine she could before dropping to nap briefly and then wake up and race around again. When she has exhausted herself of all that energy, she’s a total lap cat and will curl up for a cuddle and kisses. She’s very interested in rearranging your hair (perhaps she needs to go to beauty school? ), and has the habit of gently nibbling your face, though she’ll stop if you ask her to. She’s extremely playful, and will chase down and kill any toy you toss for her. She’s particularly fond of BOINGing up after the feather teaser, too. 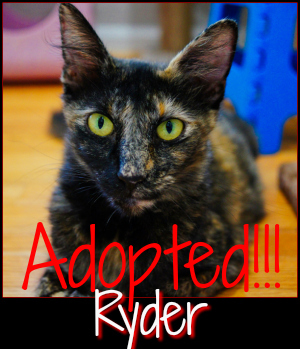 She gets along very well with other cats and would do best in a home with other kittens or cats to play and snuggle with. Dexter (boy) at the end of June and in mid-August. Dexter (nickname: Dexy). We always say that if orange boy cats were humans, they’d be the laid-back surfer dudes, and Dexter fits that description perfectly. 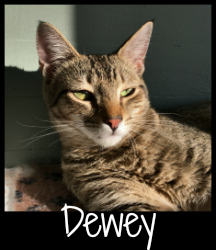 He’s a sweet gentle soul and is a total lap cat who adores snuggles and kisses, but if the other kittens are having a lot of fun, he’ll jump up and join in. He loves to be held on his back like a baby. 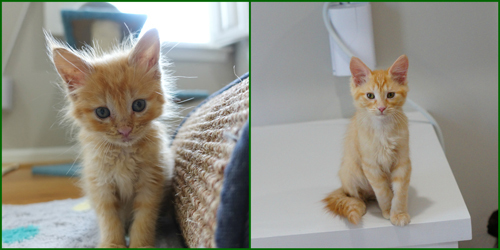 He’s got cotton-soft fur and a fabulously floofy tail, and we expect it will get even more fabulous as he grows. 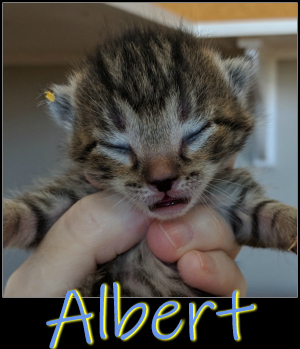 He gets along very well with the other kittens in his cobbled-together litter, and can usually be found (when not sitting in your lap being petted) curled up with another kitten or two. He seems to have a special affinity for sweet tortie Arundel and his sister Millinocket, but if they’re too busy playing he’ll curl up with whoever’s ready to snuggle and nap. 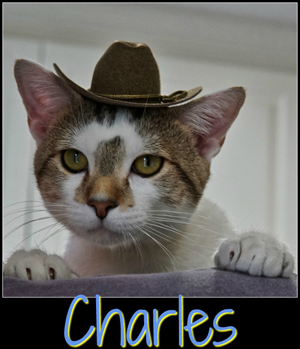 He has a very definite playful side, and loves rattly mice (especially if you toss them for him), rattly balls, or feather toys. He loves to watch the feather teaser, and if he’s in the right mood will leap up after it. He gets along very well with the other kittens, and would be happiest in a home with other kittens or cats to play and snuggle with. 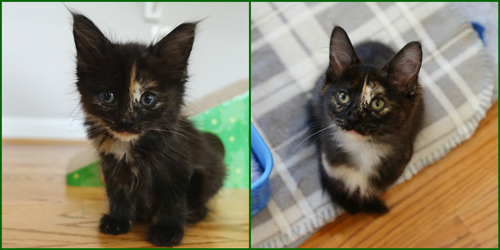 Eliot (girl) at the end of June and in mid-August. Eliot (nicknames: Ellie, Ellie-Belly) is a very sweet, VERY nosy girl who will always come running to see what you’re doing and whether she can help. 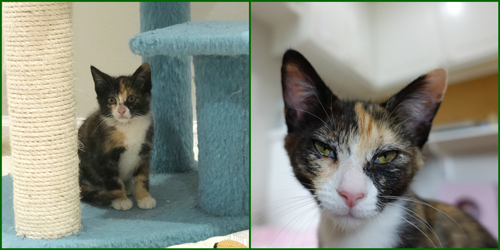 She loves to be picked up and snuggled, loves to be held on her back like a baby, and will lay in your lap if she’s tired enough, but she is REALLY nosy (did we mention that?) and is always concerned that she might be missing something. 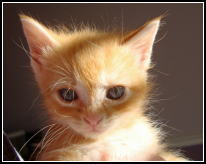 She’d probably be an excellent security kitten – we can’t imagine anyone sneaking into your home without her noticing and alerting you. It probably won’t surprise you to hear that she is also SUPER playful and if there’s a feather teaser being waved, she’s bouncing up after it, if there’s a toy being tossed, she’s running after it, if there’s a feather toy, she’s running around in her mouth. This girl is loaded with crazy personality and will constantly entertain you. She gets along very well with other kittens, and would be happiest in a home with other kittens or cats to play and snuggle with. 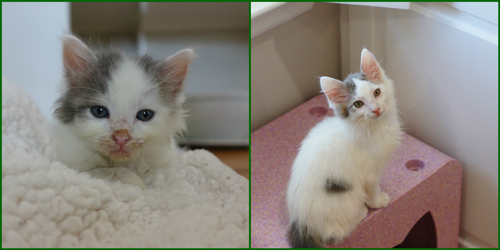 Kennebunk (boy) at the end of June and in mid-August. Kennebunk (nicknames: Moop and KennyBorkBork). We are told that Kennebunk strongly resembles a soot sprite from My Neighbour Tortoro (don’t worry if you don’t know what that is; we don’t either, so we had to Google it), but we think he looks like an adorable little dust bunny. He’s a little guy with a lot of personality – we’ve said he’s all eyes and ears, but as he’s gotten a bit older he seems to be all eyes and feet. He loves to lay in your lap, likes to be held on his back like a baby, but prefers to be held up against your shoulder and be kissed while he purrs and purrs. He gets along well with the other kittens as long as they don’t try to take his feather toys away from him. If he feels that someone is trying to steal his toy, he’ll walk around with it in his mouth and growl at them in what he assumes is a fearsome manner, which makes him even cuter. He loves feather toys, enjoys smacking at the feather teaser we wave for him, and loves to chase rattly balls that you toss for him. 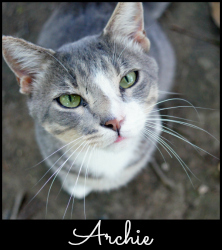 He gets along well with other kittens, and would be happiest in a home with other kittens or cats to play and snuggle with. Millinocket (girl) at the end of June and in mid-August. 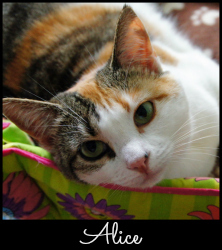 Millinocket (nickname: Millie) is a very sweet, gentle girl who is a definite lap cat. 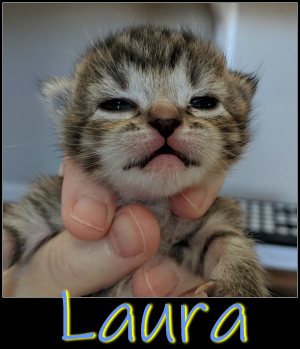 She loves to sit in your lap and be petted (if there’s another kitten in your lap at the same time, so much the better), likes to be held on her back like a baby, and will tolerate being kissed. She’s a little nervous if you’re standing over her and reach down for her, but if you sit down on the floor she’ll come right over to you for love. 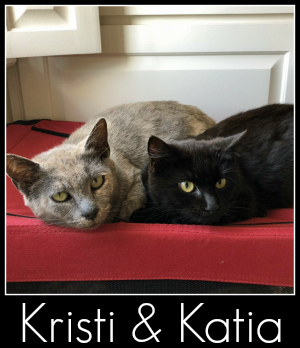 She’s a playful girl who adores paper bags (she likes to climb into them, fight through the bag with the other kittens, and then tear her way out), loves feather toys, and especially adores any toys that make noise, like rattly mice or jingly balls. Toss one for her, and off she goes! She gets along very well with the other kittens, and would be happiest in a home with other kittens or cats to play and snuggle with. Otis (boy) at the end of June and in mid-August. Otis (nicknames: Marshmallow, OtisMallow, Oaties) is a very sweet, snuggly boy who will cuddle up for a snuggle one moment, and then race off to join the kitten melee the next. 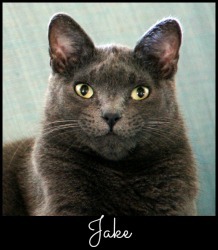 He loves being petted, will purr like crazy when you kiss him, and adores being held on his back like a baby. He’s a middle-of-the-pack guy, content to let the more confident kittens check out new situations before he follows them into the fray. He’s not a nervous boy by any means, but he doesn’t see any reason to be on the front lines when there are other kittens who are more than happy to do so. 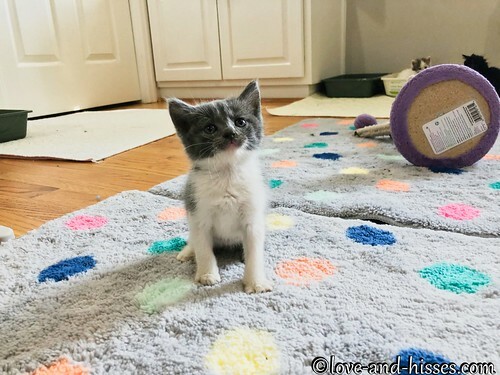 He’s super playful and will chase any toys you toss for him – and if there are no toys to be found, he’s just as happy to grab at – and bite – any of the other kittens’ tails. He’s so pleased with himself when he captures a tail that his litter mates can’t be mad at him. His favorite toys are straws, rattly mice, and ping pong balls. He gets along great with other kittens and would be happiest in a home with other kittens or cats to play and snuggle with. 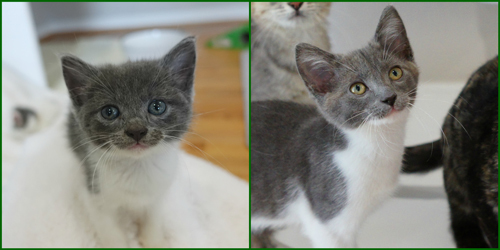 Updates: Kennebunk (Moop) and Calais were adopted together and went home on September 3! 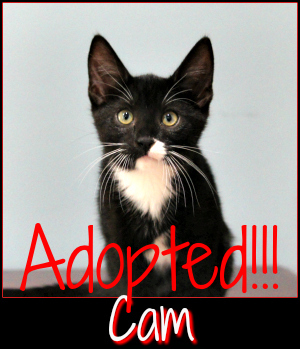 Buxton was adopted and went home on September 10th! 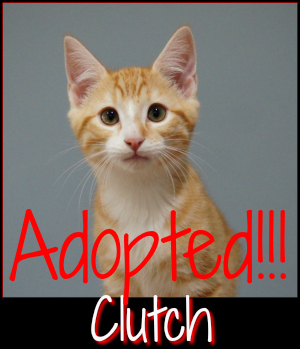 Otis was adopted and went home on September 12th! 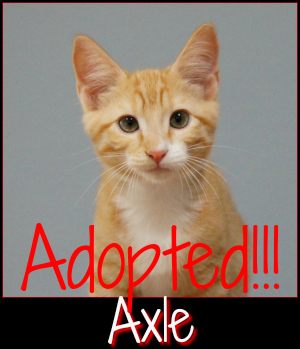 Bethel was adopted and went home on September 14th! 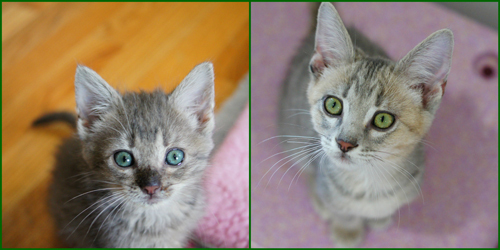 Dexter and Millie were adopted together and went home on September 15th! 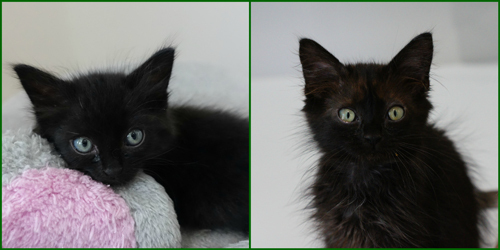 Arundel and Eliot were adopted together and went home on September 28th! They join our former foster Paul Simon (now Batman) and sisters Raven and Maggie. They have a Facebook page here! 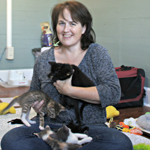 You can read about the Mainer kittens beginning here. There are links at the top and bottom of each entry; click on the one on the right to take you to the next entry. 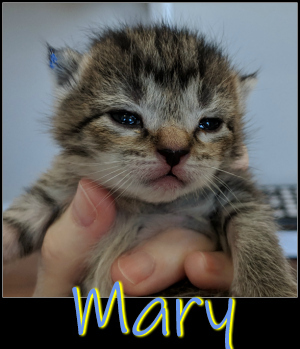 You can see all the pictures taken of the Mainer kittens here at Flickr, or scroll through them below.